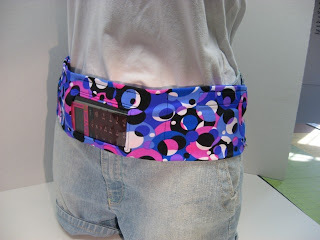 The Princess and The Pump: A Type 1 Diabetes Blog: Lauren's Hope and Designs by Janet D - WINNER!!! Geez - thanks for hanging in there with me! I know it's late and you've been waiting on pins and needles ALL DAY LONG!!! I'm sorry! I have to wait until I get home from work and then feed my starving child before I can blog. But here I am! I can't believe I didn't post this week. I mean, wasn't it just Monday?!? I have SO MUCH TO SAY.... but life is getting in the way! We've been super busy with parent teacher conferences in the evenings a few nights of the week, gymnastics, preparing for cheerleading, illness, poopy issues (don't ask...), holiday preparations, school work, homework, WDD post card making, D Blog day scrapbook making, birthdays (a certain husband of mine turned the big 4-0! ), birthday shopping, JDRF stuff, doctor appointments, dentist appointments, normal housework and kid work and family obligations and on and on and on.... and no blogs. Next week - just wait! I've got a lot to say! Some pretty cool stuff has been going on here amidst the craziness. Nope! You just want to know the winner!!! Mama J aka Jana Robles!!! Jana writes this in her entry: "Hey! I was blog surfing and stumbled onto your blog! My 4 year old was just diagnosed with T1 on October 17. It's been a WiLd ride in the Past few weeks! Thanks for this blog, it gives moms like me some Hope!" Jana - I can't think of a better winner! You are so very, very new to this crazy, CrAzY life! Sending you big ((HUGS)). Pretty much all of us reading this blog have been there. And we know how hard it is. I hope that you find the DOC to be as wonderfully uplifting and supportive as I have! Now - all you have to do is email me at theprincessandthepump@gmail.com to claim your TWO AWESOME PRIZES courtesy of Lauren's Hope and Designs by Janet D! A big THANK YOU goes out to Lauren's Hope and Designs by Janet D for offering such wonderful prizes in support of Diabetes Awareness Month! If you didn't win- don't fret! You can still order! You can still order your very own MOM shirt from Janet! Just click HERE to go to her site! Lauren's Hope is offering The Princess and The Pump readers a 10% DISCOUNT just by using the codeword "PRINCESS"! Make sure you come back on Monday! I have more awesome prizes to give away! Congrats Jana! Gotta get me one of those shirts! THANKS SO MUCH!!! I cant BELIEVE i Won! This is the BEST news ive heard in FOREVER!!!!! I am 12 and I was recently diagnosed with type 1 on September 9, 2011. I will hopefully be getting the Omnipod soon. I have been looking into pump pouches to hold my PDM and i really like the ones you posted on your latest post. 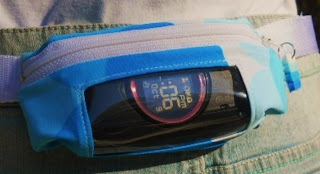 When I came home from the hospital I spent 6 hours straight (with insulin shots and meals in between) reading your blog. my mom also e-mailed you and we both loved your kind, inspirational letter you wrote back to us. Sweetpea is adorable.